We talk to Marcin Jastrzebski, talented cg artist, photographer and active user of Evermotion Forum. Marcin Jastrzebski works in the field of architectural visualization, he is the founder of NEBULA-GRAFIKA, which he runs for several years. He studied philosophy, but his passion is 3D graphics and photography. He was born and lives in Lublin, Poland. Besides being the 3d artist you are also a photographer. What was your first artistic choice? 3d graphics was my first choice - I took the first steps in 3D using my Amiga with Sculpt 4D and Real 3D. Today we are watching moving render buckets, but years ago we waited for individual pixels :) Currently I work also as a photographer, but 3D graphics was my passion since I can remember. I still work in this field, both professionally and on private projects. Both activities give me a lot of satisfaction. Photography requires intensive efforts in different places - you need to be at exhibitions, photography festivals, etc. CG is made mostly at home. It is the virtual world and I treat it as a hobby or strictly commercial activity. I think that both these forms of creative activity perfectly complement each other. Does the knowledge of photography help you in creating realistic visualizations? Definitely. Continuous observation of reality is required to create a good rendering. Often, when working on a new project, I take pictures of details and the effects which I would like to achieve in my work, and I use them as a reference material. The software is getting better and real cameras can be simulated cameras, it is natural to perceive the virtual scene from the perspective of the photographer. For example, depth of field should not be only FX - it is the one of the most basic tools to build composition of rendering. The knowledge of photography is useful for any artist, not only 3D graphics. An excellent example of the impact of photography on art, was the emergence of Impressionism in the second half of the nineteenth century. Closeup of House O. This picture was in my head. Fuzzy insects flying in the air, the climate of a hot day achieved by the bright light embedded in volumetric atmosphere. All this happened in full 3D in Maxwell and it was gratifying for me due to the fact that I was able to create it as I originally imagined it. Your works presented on our forum are very realistic. Could you tell us why you choose such topics and where do you get the inspiration? Realism was the thing that always attracted me in 3D graphics. I am permanently fascinated by the process in which, after editing the scene, renderer generates an image that looks like a photograph or is very close to it. I look for inspiration everywhere. For example, very often I watch the play of light in the blades of grass standing in the car at the crossroads when I go to work in the morning and back in the afternoon. The sun is low then and perfectly penetrates the green. When I have a camera with me, I take a picture. I try to watch a variety of jobs, both 3D and well created 2D images. My main inspiration is light and effects associated with it. The way how it works on objects and our perception of reality. 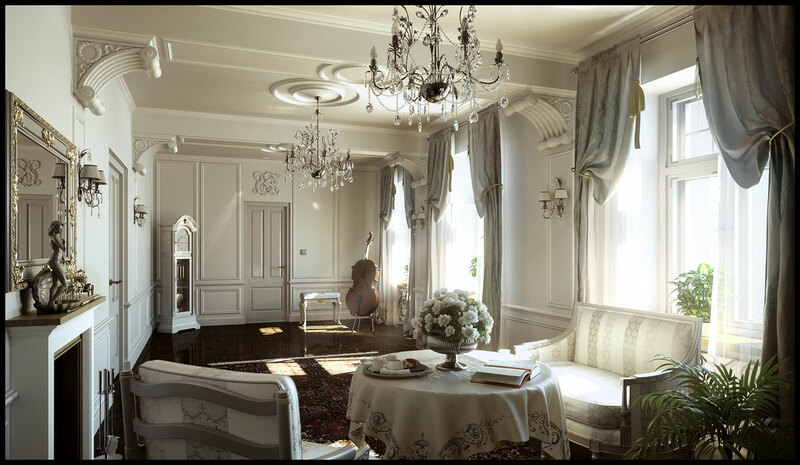 Putting the nuances of light in the renders has a huge impact on their realism. I am also inspired by the works of other 3d artists. This is continous, very fruitful competition which takes place on the Internet over the years, including also your forum. Who is lifting the level of realism even further, who will give details of the scene more faithfully and accurately, who will face the difficult subject of greenery? I always look forward to the groundbreaking works that raise the bar. For my realizations I choose objects simple in its form. In this way I deliberately try to make my work more difficult. Achieving realism on objects of this type is more complicated and therefore more satisfying for me. 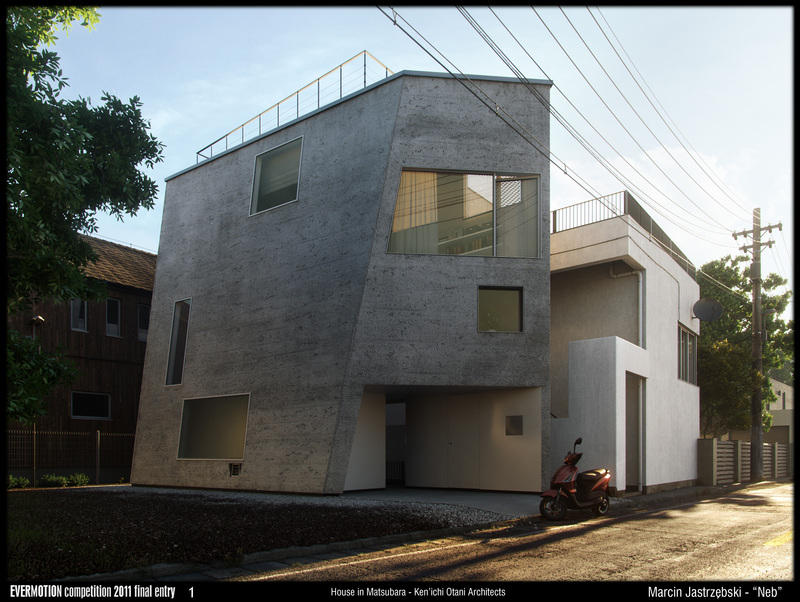 I did it also with the visualization of House in Matsubara, which I made for the Evermotion Challenge. Receiving the second prize was a wonderful culmination of the decisions and hard work on this project. It is also an inspiring moment when I get a new version of the program that I use for rendering. The latest version of Maxwell, that was released this year, made my heart beat harder. With the implementation of some ideas I've been waiting for a long time till this moment. 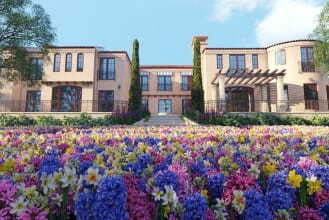 Things impossible in rendering before, became available and it made me to work on the project of House O. While working on Matsubara project for Evermotion competition, for the first time I used a lot of materials with displacement in one scene. Since then I use displacement as much as possible, obviously where it makes sense. While working on Matsubara I realized that every element of the scene like the models, textures and materials, should be improved to the maximum. In the final image this approach always pay off. Could you tell us about the tools you use to create 3d and why this particular choice? I love to work with unbiased renderers. Currently I work in Maxwell for a long time. 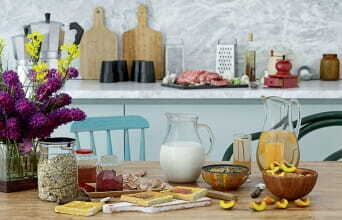 This type of rendering creates more and better opportunities to create realistic images. Maxwell, in addition to excellent lighting system and phenomenal displacement, offers a range of additional features, such as the previously mentioned effects of diffraction and bloom, and in the latest version, the volumetric effects. I always missed the possibility of filling the space between the camera and the presented object. For example channel Z is invaluable in post-production, but the ability to create an atmosphere directly in the 3D scene is exciting. Atmospheric effects are for me a new quality giving new opportunities. When I select a program to work I pay attention to its stability and the ability to quickly manage large amounts of data. Realistic scenes are very heavy and require the use of huge textures, even 32-bit for displacement. There is nothing worse than a program refusing to obey in much advanced stage of the project. At the moment I mostly use Modo for modeling, Cinema 4D also for modeling and editing scenes and Maxwell for rendering. 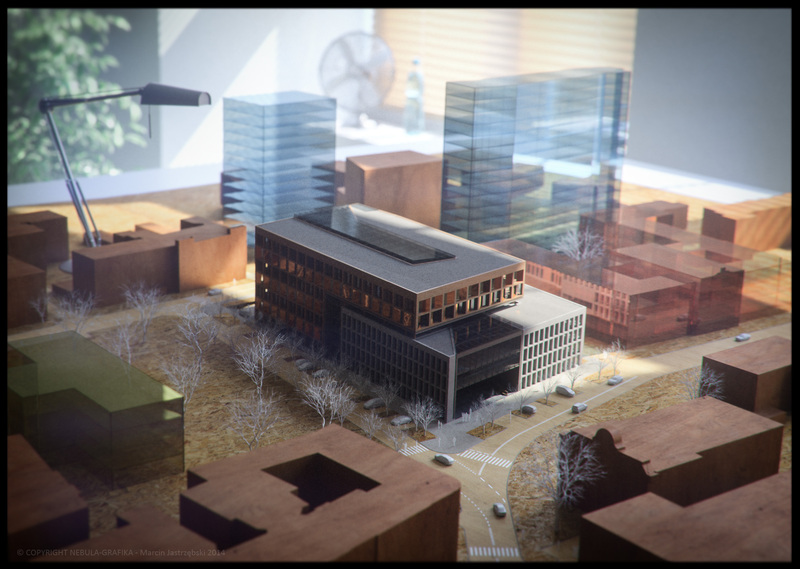 The vast majority of the commercial projects we realize in Vray, which we use with Cinema 4D. 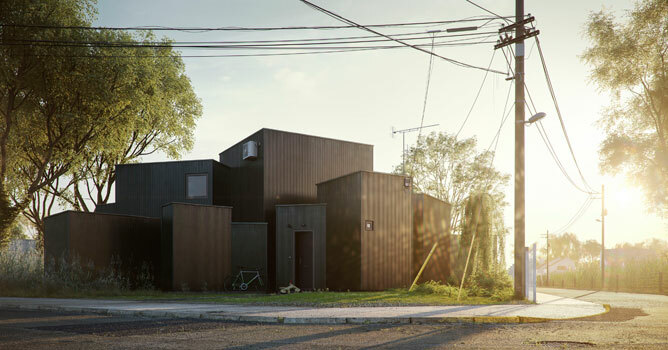 Vray, which new version for Cinema 4D was released this year, is excellent. In your private projects you create everything in 3D and do not use post-production. Does this method also work well in commercial projects? You run a company Nebula-Grafika, where you work with a team of graphic designers. Could you tell us what was the most interesting project you worked on? It is very difficult to point the most interesting project. 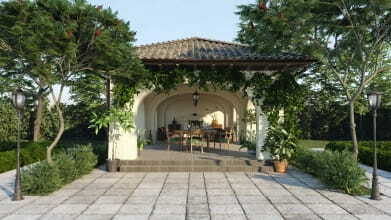 Overall, the most rewarding projects are the ones in which our customers give us a free hand for their implementation. Then all of us can be creative. Personally, I like unusual designs such as airport project, which was created a year ago in my hometown, and visualization of a new project for the Augusta helicopter. I like big urban development projects, all the visualizations with night lighting and animations. Sometimes a visualization of single-family home project where we have a free hand can be more interesting than the realization of the vision of a modern office building. How do you see the future of computer graphics and visualization? Do you expect here significant changes in the near or distant future? Makieta. In my 3D work I always tried to do something new, something that has not been yet exploited. Many effects can be achieved easily in post-production, but it fascinates me to arrange such effects in full 3D rendering. 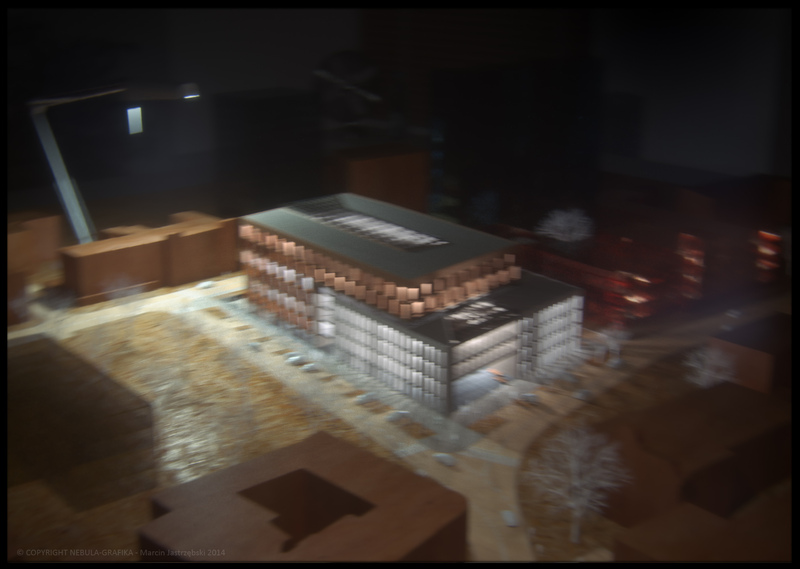 Example on a fun basis - simulation of shaky picture in low light. What do you like to do when you're not working? Do you have any hobbies besides 3d graphics and photography? Sometimes I like to just laze around. In my free time I read books, I like good s-f movies, I play the electric guitar. But I belong to those who can not sit in the place quietly and all the time I have something to do :). My greatest passion, besides 3D graphics and photography, is traveling on my motorcycle. For several years, mostly alone, I made expeditions to the northern regions of different countries. I visited the northern corners of Scandinavia, Scotland, Russia. This year I went to Iceland and the Faroe Islands, where I also continued my latest photo project. I think it is normal that our passions are interwoven and propel us to action. At the end please give an advice for young 3d artists who are beginning now. Can you share with us your method for success? Thanks for taking the time to talk to us today. Thank you for the invitation to the interview. It's a very nice distinction to be among great artists who have been previously presented on your forum. I would also like to express my appreciation for all your activity and support over the years. At the end I invite you to my blog dedicated to 3D graphics, which I started few days ago - www.realpolygons.com. We would like to introduce George Kosstrin for our community. 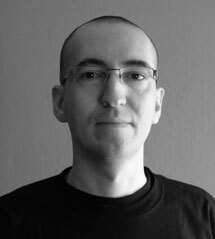 Interview with Tomasz Strzalkowski, a graphics artist working as an art director in the company which produces Flying Wild Hog games. Drawing is my hobby, passion and work. Bachelor film project from The Animation Workshop, Viborg, Denmark. We talk with Tamas Medve, an active user of Evermotion Forum and talented cg artist currently working in MIR studio. Marcin "Neb" Jastrzębski shows making of his scene that has won the 2nd place in Evermotion "Summer in the city" Challenge. An interview with people from RealtimeUK - the studio behind inspiring commercials, marketing trailers and VFX & CG imagery. "People are the most important asset"
A talk with with Konstantin Rozumny from RStyle Visual Communications Agency.